Horsham travelled the short distance to Crawley for a last sixteen tie against a strong Oakwood Youth side in the County Cup. 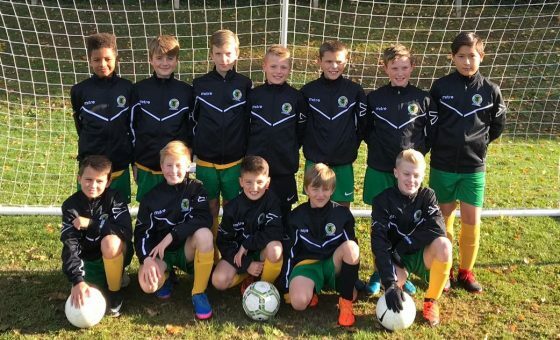 The game was supposed to be a home tie for Horsham before the Christmas break but, due to bad weather on two occasions, the fixture was reversed and became the first game back for the young Hornets. Having been in scintillating form pre-Christmas it was hoped the break wouldn’t affect the players. The game kicked off and was an even contest in the first exchanges with both teams getting plenty of touches on the ball and looking to settle nerves. Oakwood had some neat interchanges in the middle third and looked decent with their approach play. However, Horsham are very strong in midfield and the majority of the game was being played in the Oakwood half as they definitely looked the more likely to get the first goal. 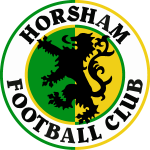 This proved to be the case on eight minutes when Markos Panoutsos, the lone striker for Horsham, made a jinking run only to be brought down in the box and awarded a penalty. Luke York stepped up and beat the ‘keeper low down to his right but unfortunately the ball cannoned off the base of the post. A decent penalty which would have settled nerves but unfortunately it wasn’t to be. Then there was a five minute spell in the first half which was key to the way this game unfolded. On fourteen minutes, Alex Maynard in the Horsham goal made a good save to keep the score level after the Oakwood ‘nine’ got played in. A minute later and Horsham’s captain, Harry Lawson, burst into the Oakwood box and fired a shot that came back off the crossbar with the ‘keeper well beaten. Fortunately Sam Ayling was the first to react to fire the rebound into the net with his left foot from eight yards. Then on eighteen minutes, having just scored, Alex pulled off a magnificent double save to deny Oakwood an equaliser; the first being a strong arm and the second pushing the ball round the post. It’s moments like these that can change games. After this scare, Horsham got their shape back and were again winning individual battles all across the pitch. A minute before the break, Stanley Hague got clear down the left and fired a low cross in with his left foot. The ball eluded everyone and found Harry on the other side of the box and he, in turn, played the ball back across for George Lee to finish neatly in the corner, leaving the ‘keeper no chance. 2-0 to Horsham and a great time to score, leading in at the break. The second half kicked off and was surprisingly comfortable for Horsham. Oakwood played some decent football but were fairly toothless in the final third. Luke York was having a superb game at the back and marshalling the defence brilliantly. Zack Bull and Elliott Evans were also having fantastic games. The Oakwood number seven was a good player but was restricted with these players getting tight on the first touch and there always being cover in behind. Horsham didn’t need to push for a goal and always looked dangerous on the counter attack, sometimes wasting good chances in a numbers up situation. On forty-three minutes, Harry put in a dangerous ball which was met by a firm header by Stanley that just drifted wide of the far post. The game was finally put to bed, four minutes later. Sonny Barton, who had another strong battling display in the middle of the park, played a one-two with Bailey Moyo and put in a good cross which was unfortunately converted into his own net by the Oakwood defender at the near post. On fifty-two minutes Oakwood won a free-kick in a central area. Oakwood’s number seven struck the ball superbly and was unlucky to see the ball strike the stanchion. It would have taken something this special to get past the Horsham defence and ‘keeper at any rate! On fifty-eight minutes came the final effort of the game. Horsham, on a counter attack, saw Harry’s effort strike the crossbar for the second time in the match but Bailey unfortunately put the rebound wide of the post. 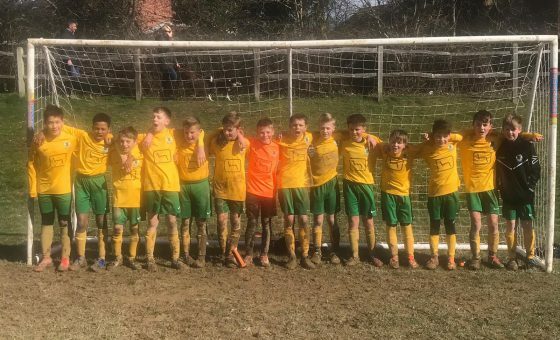 The final whistle went and Horsham march in to the quarter finals of the county cup…….